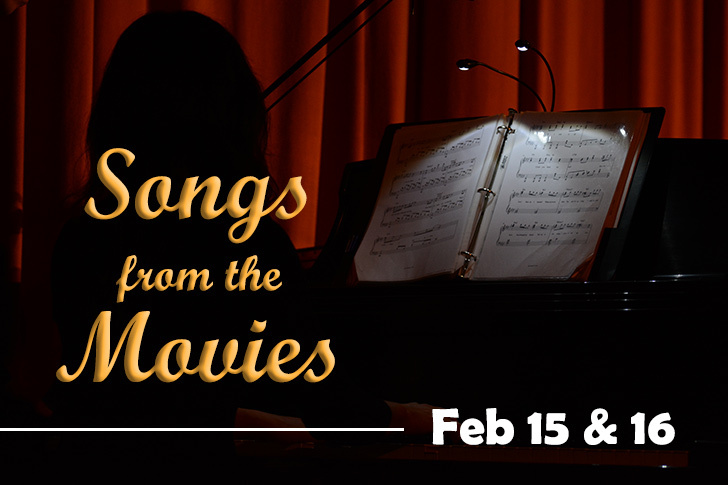 (BEAVER FALLS, Pa.) – Students from The Genevans choir will present their annual fundraising show entitled “Songs from the Movies” on Friday and Saturday, February 15 and 16, 2019. The programs begin at 7 p.m. in Geneva College’s John White Chapel, located on the second floor of Old Main. Tickets are $3 for students and $7 for adults and may be purchased at the door or in advance by calling Geneva College’s Music Department at (724) 847-6660. Proceeds from the shows will benefit The Genevans’ spring tour to Colorado in March 2019. The Genevans choir exists to glorify God and minister to people through the gift of music. Founded in 1938, the choir continues a rich heritage of choral singing dating from the early years of the college over a century and a half ago. The mission of The Genevans is to engage audiences while glorifying God and ministering with important spiritual truth. Over the course of their long history, The Genevans have acquired a reputation for choral excellence, musical variety and spiritual impact. For more information, contact the Geneva College Music Department at (724) 847-6660 or visit The Genevans on the web at http://www.geneva.edu/genevans. Follow The Genevans on Facebook at http://www.facebook.com/thegenevans.